Abundant nature, cosmopolitan cities, outstanding seaside resorts, and remarkable sights are some of the wonderful things that await you in Qatar. 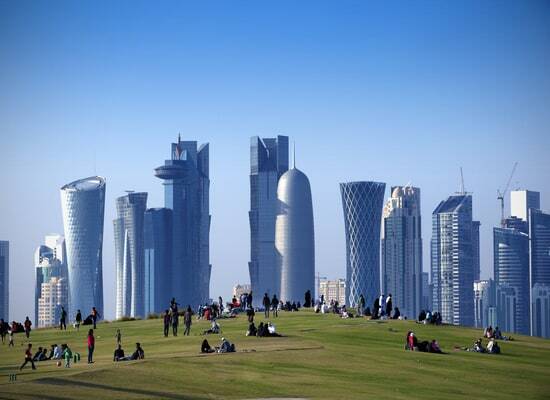 The capital Doha is adorned with beautiful white houses and mosques and the Arab Museum of Modern Art. Qatar also offers a museum of Islamic art, home to works dating back to the 7th and 19th century. Dukhan is another striking city with a beautiful coastline. If you want to explore something a little more unique, take a boat around the islands of Shara’o and the islets of Al Shafliyeh. Taste the local gastronomy of Qatar through dishes of lamb, mutton, fried fish and grilled chicken served with a bowl of rice or green salad. Last Updated: January 28, 2019 17:17 ESTThe Health tab was updated - travel health information (Public Health Agency of Canada). Hamad General hospital is a public health institution offering quality care. It is also possible to receive routine care in Al-khor Hospital. Major cities provide numerous pharmacies, and therefore accessing drugs proves no problem. Despite the easy access, it is always advisable to bring a pharmacy kit with you on a trip. In the event of an emergency whilst vacationing in Qatar, call 999. In order to call for private ambulance services, the Doha Clinic Hospital can be reached at +974 4438 4333 and offers a wide range of medical services. In the event of more serious health problems, medical evacuation by plane will be required. Is Qatar Safe for Travel? Do I Need a Visa to Visit Qatar? Both, a visa and a passport are required to enter Qatar. Your passport must be valid for at least 6 months beyond the date of departure. The obtained visa will be valid for 30 days.